Published On January 29, 2015,	by ColdStar Logistics . India has a cold chain warehousing capacity of 34 million tonnes as of 2014. While this figure is half of what the country requires to secure its perishable produce against spoilage, the total capacity is fast rising. Only a few years ago in 2009, the total warehousing capacity in the country stood at 17 million tonnes. Cold storage facilities in the country have been growing at a rate of 13% by volume in the last few years and the total capacity is expected to touch 47 million tonnes by the year 2017. Uttar Pradesh leads amongst states in India with a total warehousing capacity of 14 million tonnes, 41% of the country’s total Cold Chain Warehousing capacity. 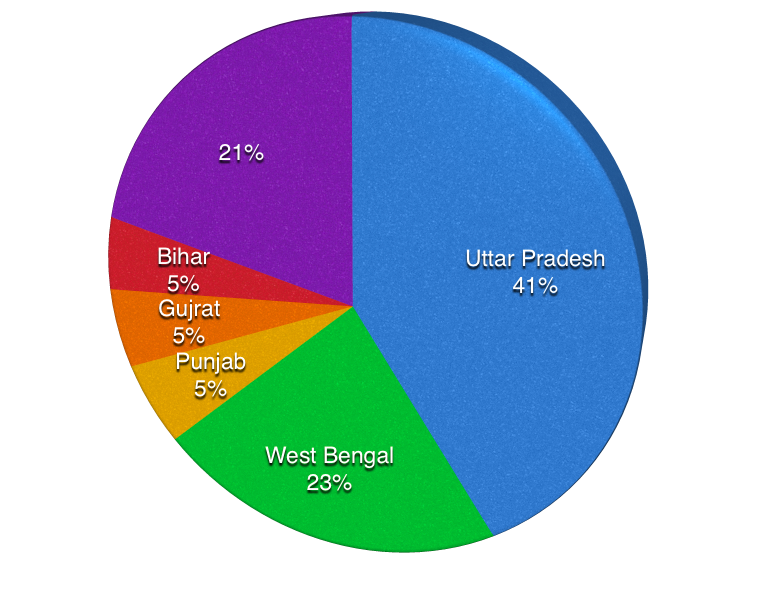 West Bengal ranks second with a share of about 23%, followed by Punjab (5.5%), Gujarat (5.2%), Bihar (4.7%), Andhra Pradesh (3.7%), Madhya Pradesh (3.3%), Maharashtra (2.2%) and Karnataka. Of the available Cold Storage, only 23% can be used for storing multiple items while 75% can only be used to store Potatoes. 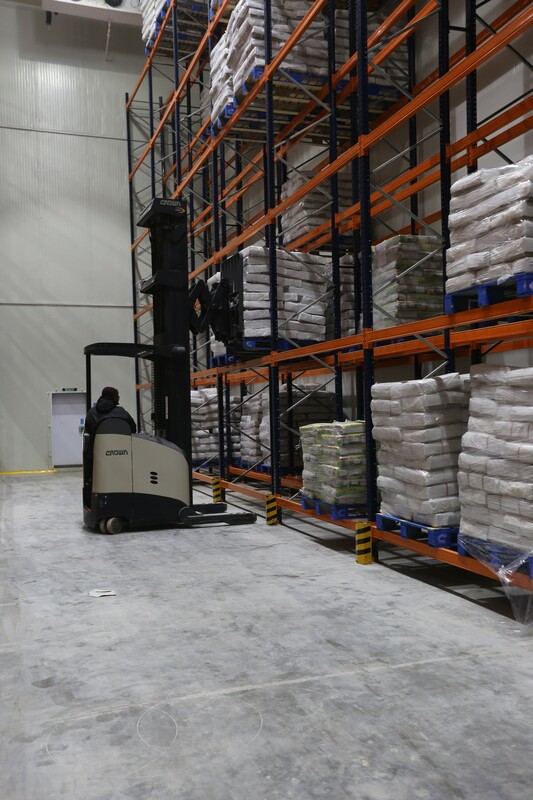 However, it is worth nothing that only 20% of all the cold storage revenues come from the facilities that store for single-purpose use, while multipurpose warehouses generate 54% of the revenues. This calls for an urgent need to establish facilities that can be used to store more than a single type of product or commodity. Wastage due to the lack of optimum Cold-Storage capacity. India enjoys a mixed-temperate climate. The country faces a variety of seasons and is home to one of the most dense rain regions of the world. Several such reasons allow for India to be a major contributor to the world’s stack of food supplies. Perishable products account for 22% of all the goods that India exports. Perishables such as Fruits and Vegetables, Seafood, Meat and Poultry and Dairy Products are a very important part of India’s trade cycle. Yet, 30-40% of all the produce gets wasted yearly. India is the second largest producer of Fruits and Vegetables in the world, accounting for 11% of all the world’s produce. For a country that produces 130 million tonnes of Fruits and Vegetables each year, the available cold storage capacity is merely 9 million tonnes. 130 million tonnes of Milk is produced in the country each year but storage capacity for only 80,000 tonnes is available. 3 million tonnes, which is 30% of the all the seafood produce gets wasted each year, while 92% of all the Meat that is sold in the Indian markets does not use refrigerated transport or storages along its distribution cycle. India has a total of 25,000 un-registered slaughterhouses that lack Cold Storage facilities.